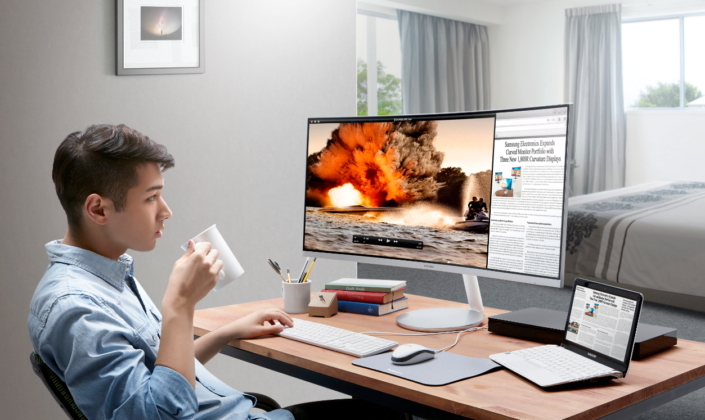 When Samsung introduced the world’s first curved monitor in 2014, the company set a new standard, delivering a more immersive viewing experience and more natural viewing comfort. 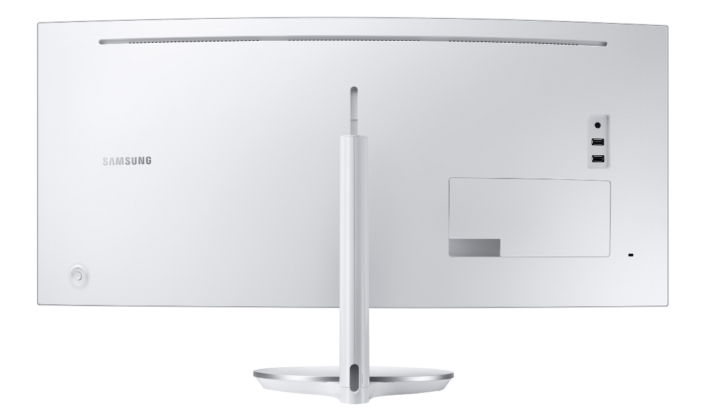 Now, Samsung broadens its innovation in displays with the launch of its most powerful and visually compelling curved gaming monitor yet—the CF791 premium curved monitor. Bolstered color accuracy with Quantum dot technology and a refined display curvature are only just a few of the ways the CF791 is changing the game in the ever-evolving display industry. With a curvature of 1,500R, the 34-inch CF791 is the most curved gaming monitor yet. 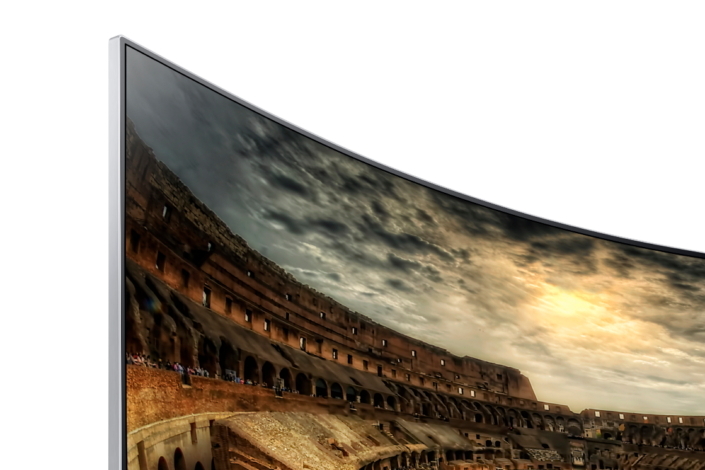 Closely following the contours of the human eye, this exceptional curvature allows users to experience a more natural field of vision and a more immersive entertainment experience. Eye-to-object distance uniformity from all angles also provides enhanced viewing comfort, while Eye Saver Mode and Flicker Free functionality work to reduce eye strain and empower comfortable long-term gameplay. The CF791, along with the CFG70, are the first environmentally-safe, cadmium-free Quantum dot monitors on the market. By incorporating the same Quantum dot technology found in Samsung’s TV lineup, the CF791 monitor is poised to deliver a true-to-life experience for gamers and non-gamers alike. By utilizing Quantum dot technology, the monitor displays a wide range of faithfully vibrant colors, while requiring less energy to do so. It expresses brilliant color across a 125 percent sRGB spectrum, giving greater depth to blacks and sharpening color intricacies. These color distinctions bring even the smallest details of today’s video games to life, far surpassing display offers available in conventional monitors. Furthermore, thanks to the 3000:1 contrast ratio of the monitor’s VA panel, blacks are blacker, whites are whiter and details are sharper. And, with minimized light leakage, darker scenes are more uniform in low-light settings, increasing the nuances of gameplay. But the CF791 is good for the home office, too, as it provides enhanced readability, even in the corners where small text or images are often cut off on other monitors. This, combined with a resolution of 3440×1440, a wider screen and a 178 degree-wide viewing angle that provides an optimal viewing experience from any direction, makes the CF791 ideal for both work and play. The Ultra-Wide 21:9 aspect ratio of the CF791 makes watching movies and playing games more immersive than ever, and better preserves content quality during multi-screen competition. It also provides additional real estate for users to multitask or watch multiple contents simultaneously, eliminating the need to flip back and forth between them. These multitasking features are enabled by the monitor’s Picture By Picture (PBP) and Picture In Picture (PIP) functionality. PBP allows two different devices, such as a laptop and computer system unit, to be connected to the monitor with original resolution. PIP, on the other hand, supports a secondary display with native resolution, which can be resized up to 25 percent of the screen, and moved into any position on the display. Combined with a 100Hz refresh rate, as well as embedded AMD FreeSync™ functionality that synchronizes screen refresh rates with gamers’ AMD graphics cards, the CF791 allows users to enjoy smoother gameplay without stuttering or tearing on the monitor. When activated, Game Mode enhances the gaming experience by adjusting the monitor to improve the darkness of the picture so players can vividly see all of the on-screen action. Beyond its on-screen visual enhancements, the CF791 features a sleek composition that imbues just about any environment with sophistication and style. 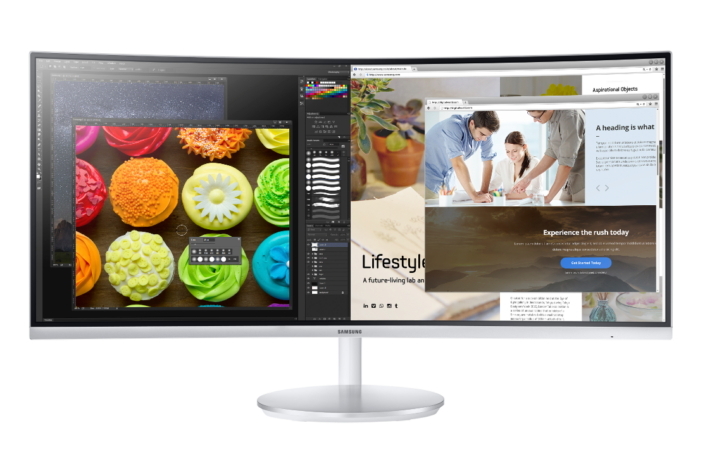 The display’s three-sided, bound-less design allows for a seamless connection of multiple monitors, as well as the harmony between the device’s silver front and glossy white back. Furthermore, the interface has been covered and the cables hidden within the stand to form a clean rear design, so users can place it anywhere they please. Players can also customize the monitor’s alignment to match their specific ergonomic needs through both a tilt- and height-adjustable stand. To take its entertainment capabilities to the next level, the CF791 boasts built-in dual stereo speakers, and multiple connections—two HDMIs, a DP and two USBs. *All functionality features, specifications and other product information provided in this document including, but not limited to, the benefits, design, pricing, components, performance, availability and capabilities of the product are subject to change without notice or obligation.